Happy Easter, everyone. To celebrate this momentous day we would like to present to you the online world premiere of our last short film ‘Abdullah’ on IndieWire! Mondo’s Death Waltz label has got one hell of treat for fans of dark thrillers and pulsing electro beats. 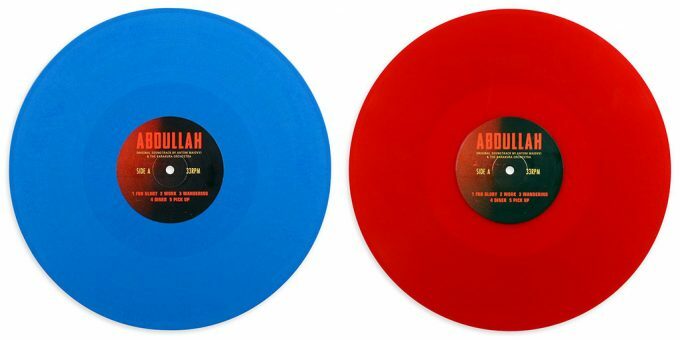 The label is set to release an exclusive vinyl soundtrack for Evrim Ersoy’s short film, “Abdullah,” which follows a taxi driver into the underbelly of London, with beats to match. The original score comes from Antoni Maiovvi and the Karakura Orchestra, and will be available through a one-off pressing, featuring 180g colored vinyl and a DVD featuring the short film, all housed inside a 425gsm sleeve complete with a download card of the full LP. Only 1,000 copies will be available — 500 in the U.S. and 500 in the UK. You can get a taste of the soundtrack right here.